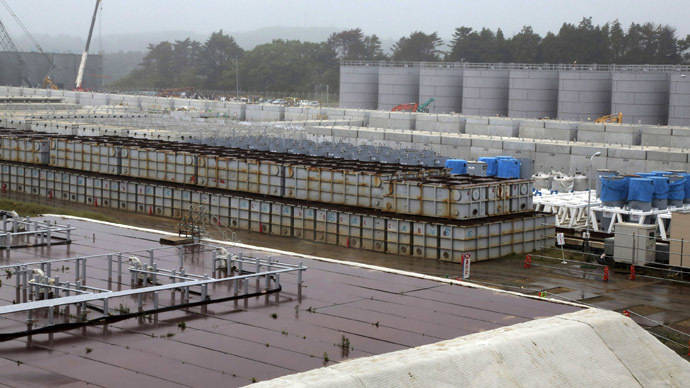 Radiation levels around tanks holding contaminated water at the crippled Fukushima nuclear power plant in Japan have hit a new high, officials with Japan’s nuclear regulator said Wednesday. 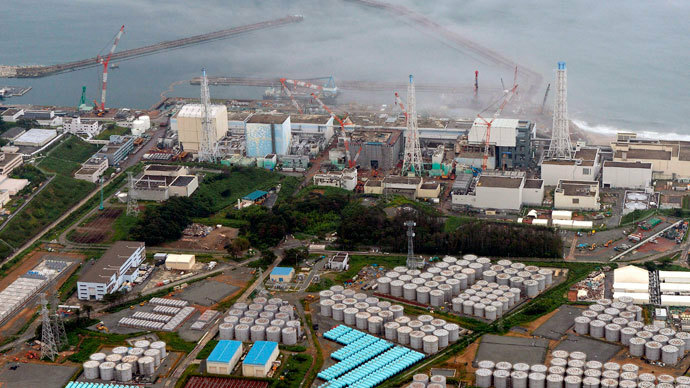 The readings taken by the Nuclear Regulation Authority (NRA) just above the ground near tanks at the Fukushima Daiichi plant showed as much as 2,200 millisieverts (mSv) present, surpassing the previous high measure of 1,800 mSv found just four days prior. Both levels are potent enough to kill an unprotected human within hours. NRA officials say the area of strong radiation is highly concentrated and can be easily shielded. The tanks holding the contaminated water sit on a hill above the Pacific Ocean. 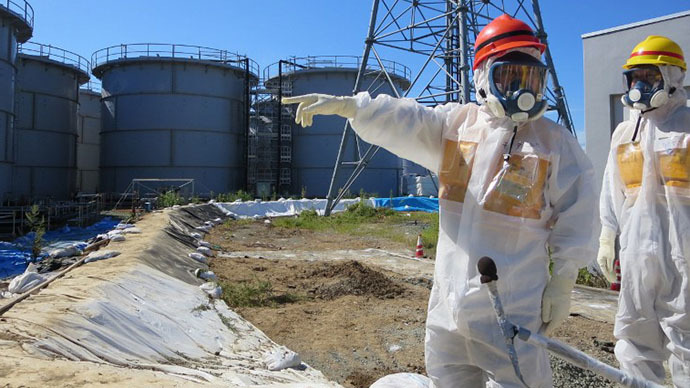 Last week, plant operator Tokyo Electric Power Co. (TEPCO) disclosed that at least one of the 1,060 temporary tanks sprang a leak, discharging as much as 300 tons of radioactive liquid containing large amounts of cesium. TEPCO said on Monday that it might have to dump contaminated cooling water from the plant into the Pacific, local media reported. 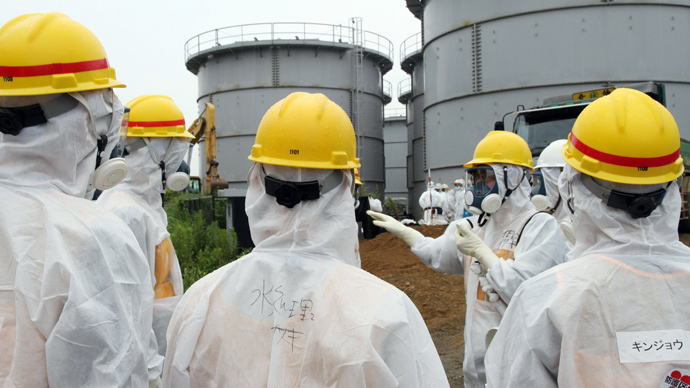 On Tuesday, Japan announced that it will pledge 47 billion yen (US$473 million) to help TEPCO contain further leaks of radioactive water. "Tokyo Electric has been playing a game of whack-a-mole with problems at the site,” Trade and Economy Minister Toshimitsu Motegi said in a televised interview where the plan was first mentioned. The plan to deal with the ongoing crisis at the Fukushima plant, which was besieged by a massive earthquake and tsunami in March 2011, includes the construction of an underground wall worth US$320,000 to contain groundwater flows. The building of the wall will entail freezing a perimeter of earth around the damaged reactors to stop the groundwater from mixing with water being used to cool the melted fuel rods.